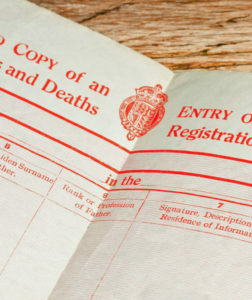 What is the cost of a Birth Certificate in the UK? Many people ask What is the cost of a Birth Certificate in the UK? in the UK varies depending on a number of factors. Some of these include the cost of the certificate only, the cost of delivery if you have elected for an express service and also for any additional fees or charges. Here at UK Birth Certificates, we make our costs are very transparent. You know upfront how much each service is. £24.95 includes delivery by Royal Mail standard class with a turn around of approximately 12 – 14 days. £44.95 is our Standard Plus service offering a turn around of approx 7 days by Royal Mail. £64.95 is our Top Priority Service offering next day despatch (subject to time of ordering). An official birth certificate is often a requirement when registering at a school as well as other supplementary identification. This assists the school in ensuring the make certain the child is in the correct class for their age. You may also be required to provide it as part of your identification when applying for a drivers licence. The certificate aids in proving your identity as well as age. Remember that your Birth Certificate forms part of your proof of identity. You should always store it in a safe and secure location.